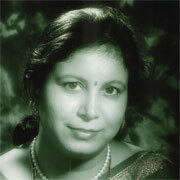 Anita Deepak Kulkarni was born in Nasik, India into the Marathi family. Now she is based in Cary, North Carolina. Anita has been singing since childhood. She learned Hindustani Classical Music at Akhil Bhartiya Gandharva Mahavidyalay from Guru Shri Govindrao Paluskar and obtained her degrees in Sangeet Visharad and Sangeet Alankar (Master). She learned the style of Light Music (called Sugam Sangeet) from music director Srikrishna Chandratre. The album Aashiqui Mein is a result of Anita's desire to create melodious songs that are different than mainstream. Music director Chandratre guided and helped Anita in arranging and producing. Aashiqui Mein feature Folks, Bollywood, Ghazal and Classical style music featuring duets with famous singer Suresh Wadkar. Click on Anita's picture to hear Mujhe Jo Dekha Bola Tera Nasha Nirala. Judy Safrit is a rare find indeed. Talus Music is pleased to annouce that Judy has had commericial radio success with her song Silent Night. Over a thousand radio stations playing this song this Christmas. As a Christmas present to you this season, and to introduce you to Judy, please download Silent Night from this site for free. Silent Night is on Judy's album, Merry Christmas From My Heart to Yours. Click on Judy's picture to hear Silent Night. When not speaking seven lanuages, Mike Collins writes songs, sings and plays guitar. His influences include musicians such as James Taylor and Dan Fogelberg. In over 20 years of musical endeavor, he has written more than 100 songs spanning from folk ballads to rock. In the course of his career, he has performed in Arizona, Texas, North Carolina, Vermont, and Europe. We feature Mike on the album, Desert Anthem. You can listen to songs on Desert Anthem as well as buy the album. Mike is currently working on his second album, Two Eyes. Click on Mike's picture to hear Excalibur. 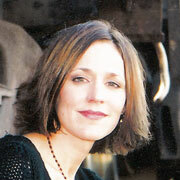 Stephanie Gervase is the lead singer of Fields of White. The band takes on its name from John 4:35. In this verse Jesus tells his disciples that the "fields are white" for harvest. (White means ripe.) Jesus is referring to the fields of men and women who are ready to believe in Jesus, the good news of God. All it takes to harvest the people is for someone to tell them the good news. 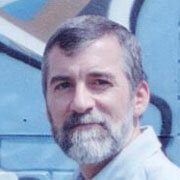 Click on Stephanie's picture to hear FOW's chart-buster song Extreme. Julee Glaub. songbird of Celtic and Appalachian music, has just released her second album, Blue Waltz. It's the "most enjoyable and satisfying recordings heard in many years." Blue Waltz is now for sale. Her first album Fields Faraway, is also for sale. 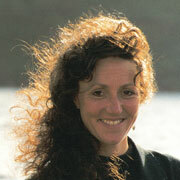 Julee has been performing traditional Irish music since 1988. Playing the guitar, flute, whistle and bodhran, she combines clear, sweet vocals with the instruments of Ireland to evoke the quiet Irish countryside and the rhythms of Dublin City. A native of North Carolina, Julee studied Irish Literature and voice at Wake Forest University before leaving the States to live and work in Dublin for six years. In Ireland, she absorbed the culture, collected songs, and discovered her Irish Soul. Click on Julee's picture to hear her song Wille Taylor. Transport yourself back to the romance of the18th and 19th centuries. Relax to the finest classical works rendered by the graceful Amy Prussing and her father Stephen Prussing. 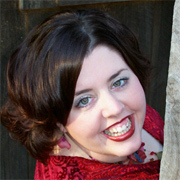 Amy , a flutist, graduated in music from the College of Wooster. Her father, a graduate of the Juilliard School of Music, plays piano. Both have performed internationally. If you live in the D.C. area, you can hear Amy live in concert. There she plays for the Washington Balalaika Orchestra.and for her own Woodwind Quartet. One of the foremost, if not the best domra player in the world, and certainly a rare treat for the western world, is the beautiful Angelina Galashenkova. She is a graduate of the Russian Academy of Music, the featured soloist for St. Petersburg's Andreyev Orchestra, and the Laureate of the National Russian Competition for Domra Artists. Angleina performs both classical and Russian folk music all over the world--from Russia, France, Finland to Australia. Though originally from Russia, she now makes her home the United States of America. We are fortunate to have gained such a national gem. You can buy her album String Virtuoso. Click on Angelina's picture to hear Turkish Rondo by W. A. Mozart.